Welcome! Try one of our tools below or register for a free account. 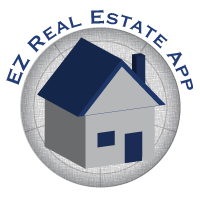 EZ Real Estate App is the perfect resource for the real estate investor. If you're buying rental property, try using our Cash Flow Analysis tool. If you're looking for a fixer, then use our Cost of Repair tool. EZ Real Estate App can do all of your tracking for you! Simply register for a free account. You can save and compare all the properties in which you're considering to buy. In addition, EZ Real Estate App offers a property management module to track all your income and expenses. Use this tool if you plan to buy and rent a property. Use this tool for properties you intend to flip. Keep track of your property's income and expenses. Includes the total cost of financing and amortization. Real estate data by geographic location. Search by city and state or zip code.